We’d love your help. Let us know what’s wrong with this preview of Top Secret/S.I. by Douglas Niles. 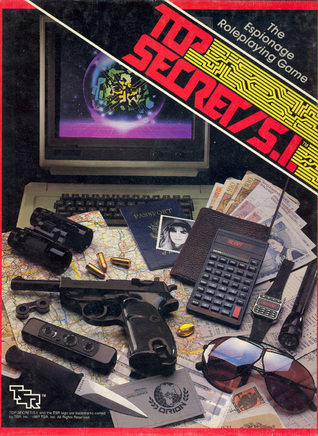 Published October 1st 1987 by TSR Inc.
To ask other readers questions about Top Secret/S.I., please sign up. Be the first to ask a question about Top Secret/S.I. Douglas Niles is a fantasy author and game designer. Niles was one of the creators of the Dragonlance world and the author of the first three Forgotten Realms novels, and the Top Secret S/I espionage role-playing game. He currently resides in Delavan, Wisconsin with his wife, Christine, and two Bouviets, Reggie and Stella. He enjoys playing his guitar, cooking, and visiting with family.